Congratulations to tour winner Danielle M. and to host winners My Reading Journeys and Notes From a Romantic's Heart. 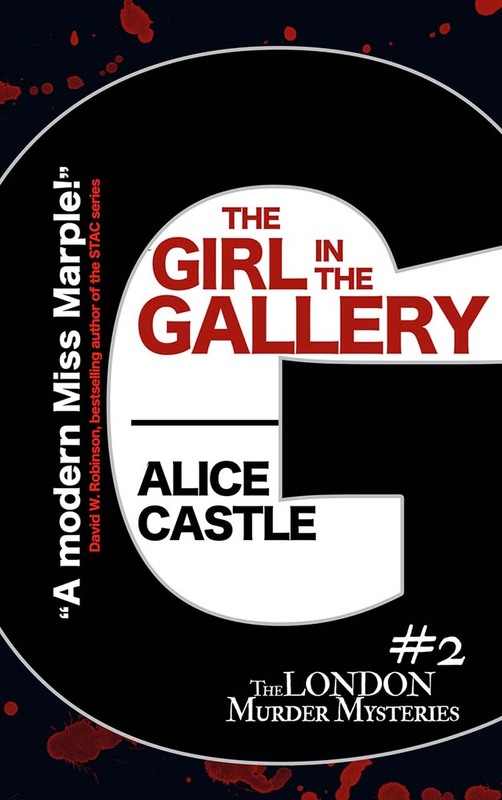 Goddess Fish Promotions is organizing a Virtual REVIEW ONLY Tour for The Girl in the Gallery by Alice Castle, a 320 page cozy crime available December 19 from Crooked Cat Books. The tour will run every Wednesday for 4 weeks starting on January 17, and the book is available in PDF and modi formats. Alice Castle will be awarding a $20 Amazon or Barnes and Noble GC to a randomly drawn winner via rafflecopter during the tour, and a $10 Amazon or Barnes and Noble GC to a randomly drawn host. Locks, Hooks and Books can do Feb 7. Journey of a Bookseller can do January 31st. Sherry @ My Reading Journeys can do the 7th. I need a pdf please. I can review on Sharing Links and Wisdom on January 17. Notes from a Romantic's Heart can do Jan 24th. PDf please if available.